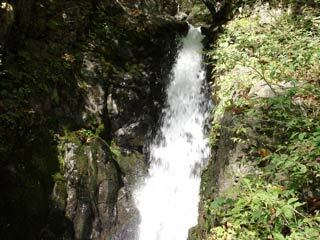 Koshin Seven Falls (庚申七滝) is located on Mt. Koshin, Nikko. It is seven steps waterfalls and located right next to Ichino Torii gate of Mt. Koshin. Be careful, the bridge to see the lower falls are broken.